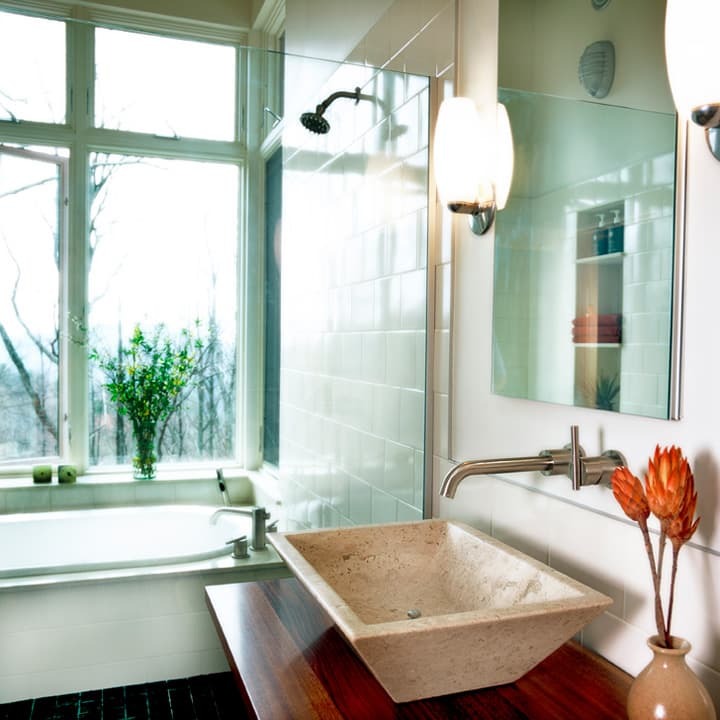 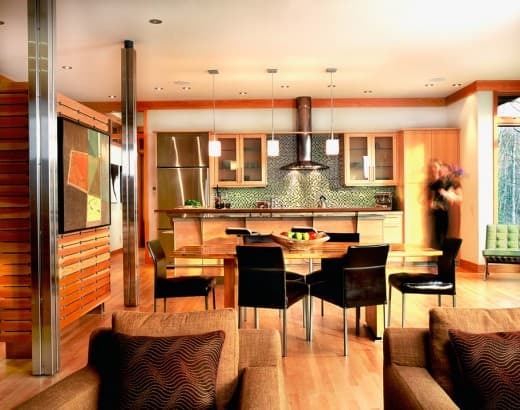 Sustainable Design and Green Design are exemplified in this 4,600 s.f. 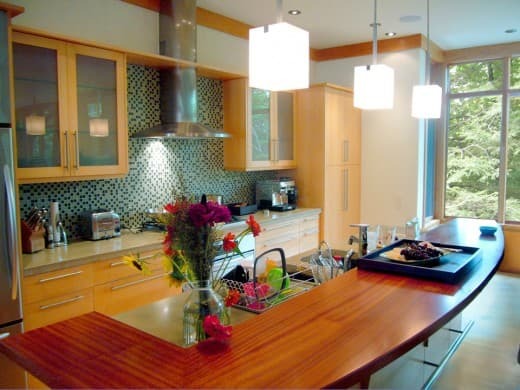 home through site placement, recycled content materials, low toxic finishes and certified sustainable wood. 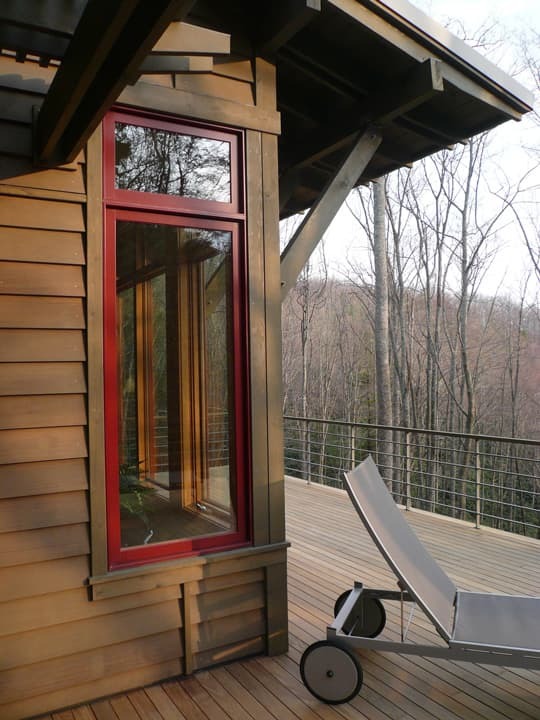 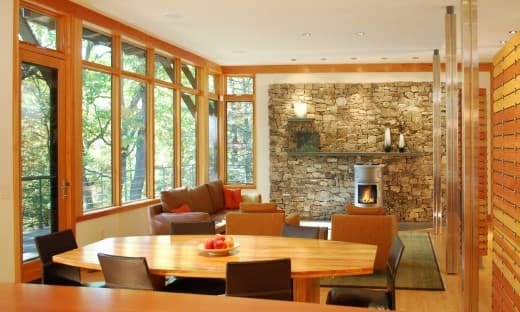 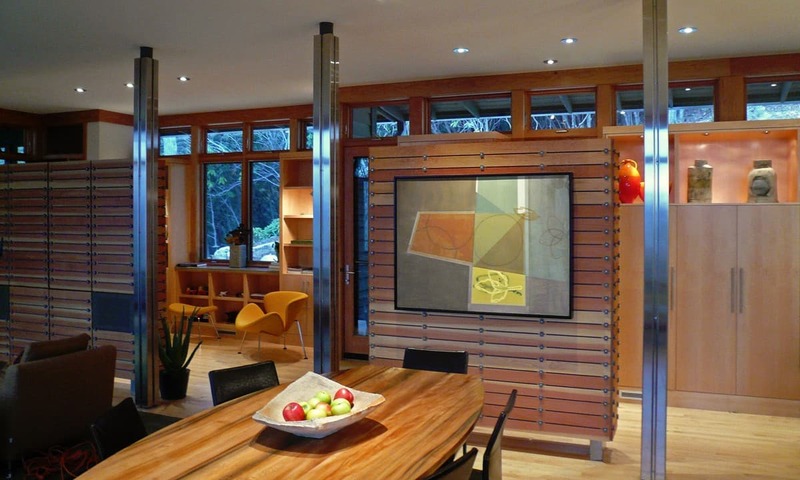 Windows along the south wall provide passive solar heating, forest views and a visual connection to the outdoors. 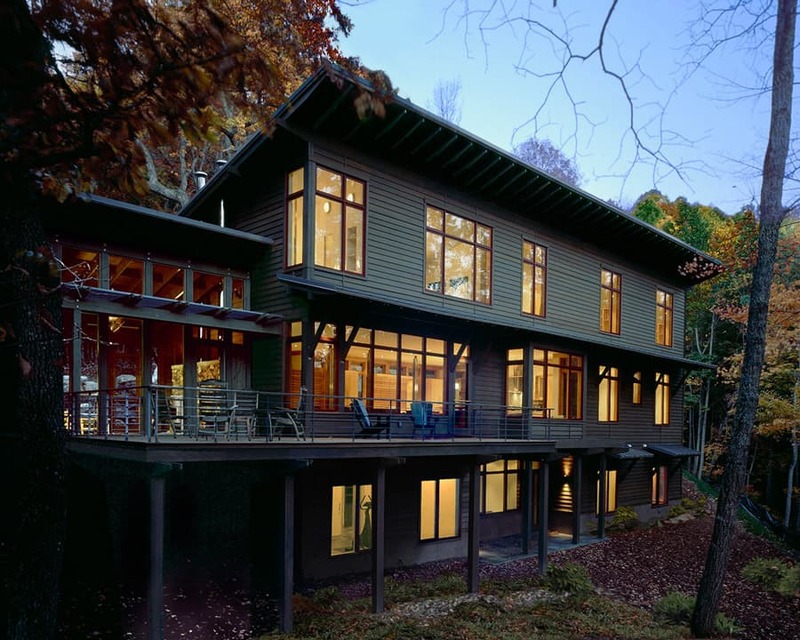 Terraces and porches surround the living spaces to provide expanded living area. 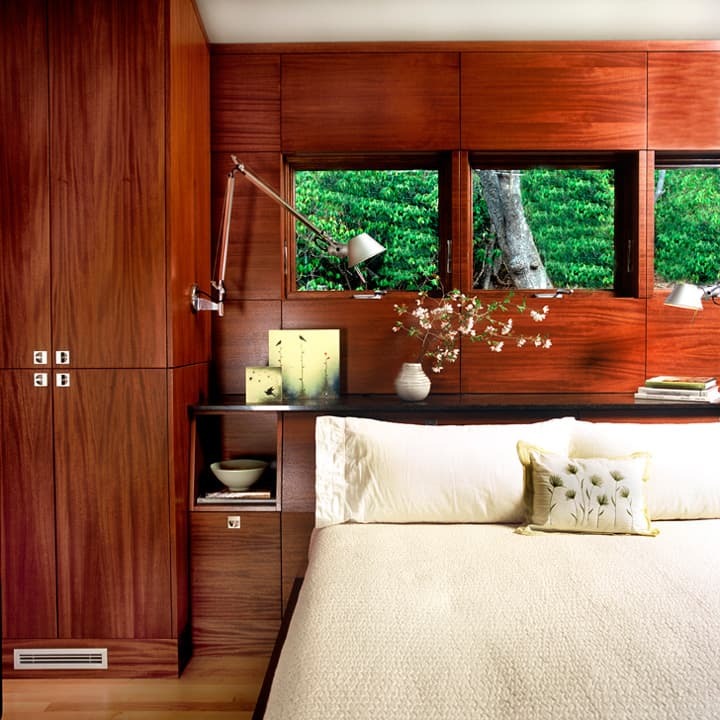 Clean lines and natural materials create a balance of modern style and casual living.